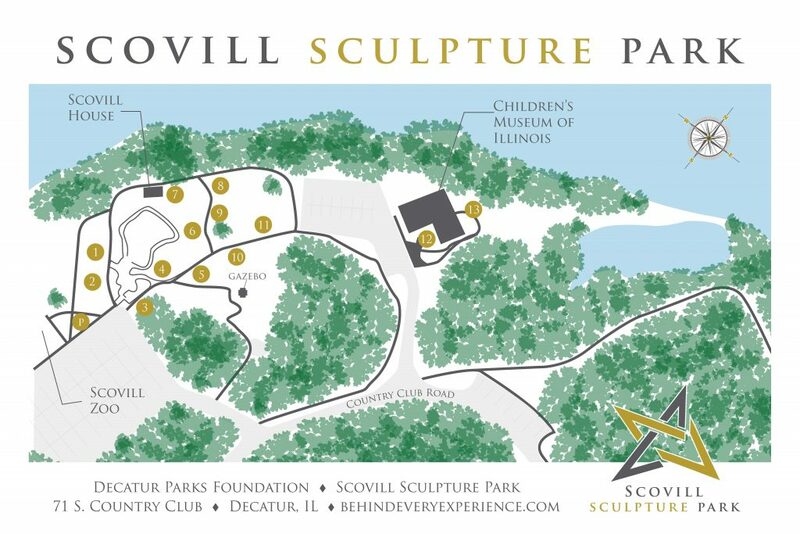 The installation of a new addition to the Scovill Sculpture Park will arrive at 10:30 a.m. on Thursday, April 4 at the Scovill Sculpture Park (71 S. Country Club Rd.). The sculpture will be a bison calf that is joining the existing American Bison sculpture by Tim Summerville (#5 on the map) that came with the last sculpture installation in 2018. Both sculptures will be displayed at the park until 2021. Be a kid again at the 2019 Rotten Easter Egg Hunt at the Hickory Point Banquet Facility on Friday, March 29th! 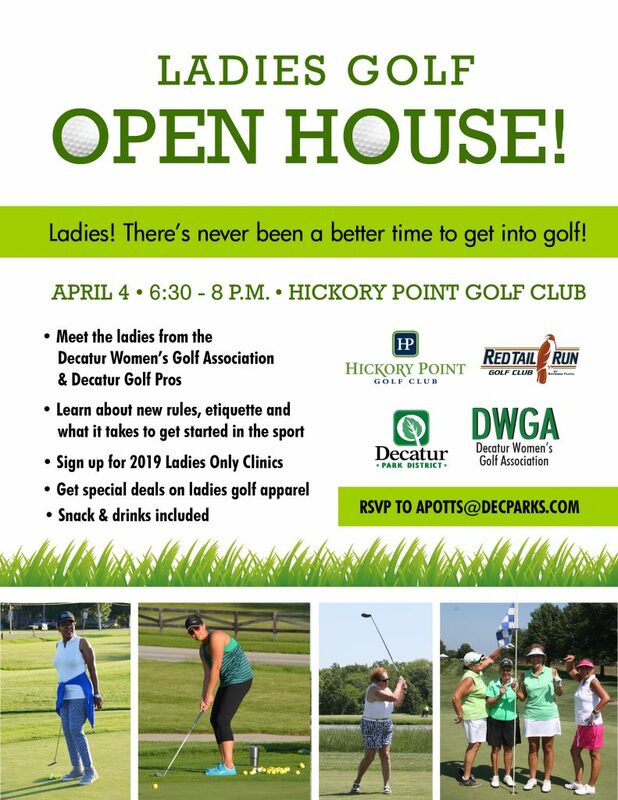 This adults-only event begins at 6:30 p.m. and includes music, pizza, adult beverages, games, an optional Easter basket contest, and an outdoor hunt with thousands of eggs redeemed for cash prizes, gift cards, and more! Bring a basket for your eggs and a flashlight. Registration deadline is March 27th, unless sold out. Held rain or shine. 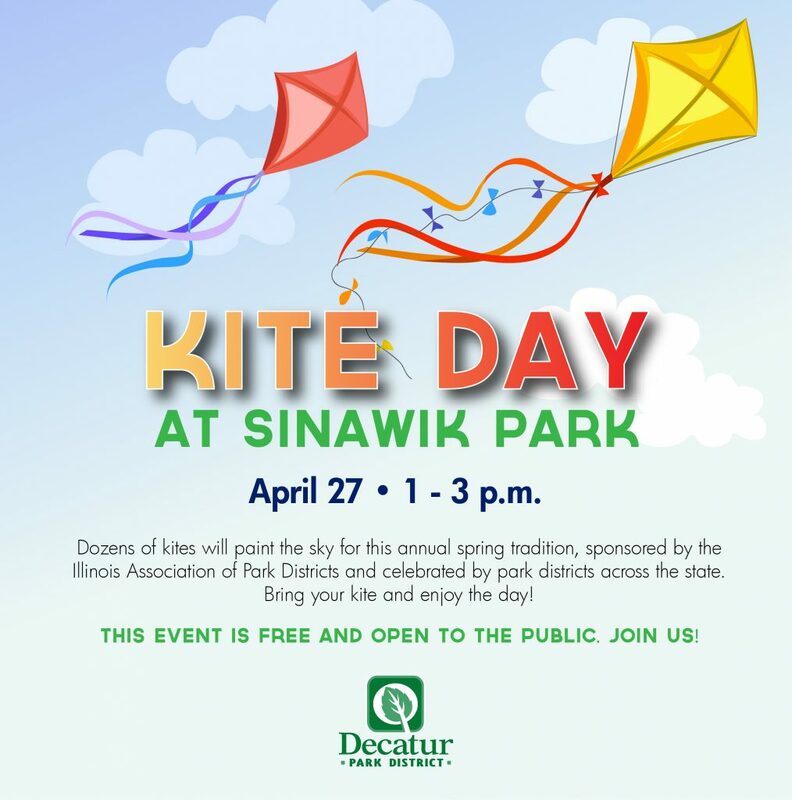 All proceeds benefit Decatur Park District youth arts and recreation programs. Sponsors include Mueller Distributing, Neuhoff Media and Papa Murphy’s Pizza. 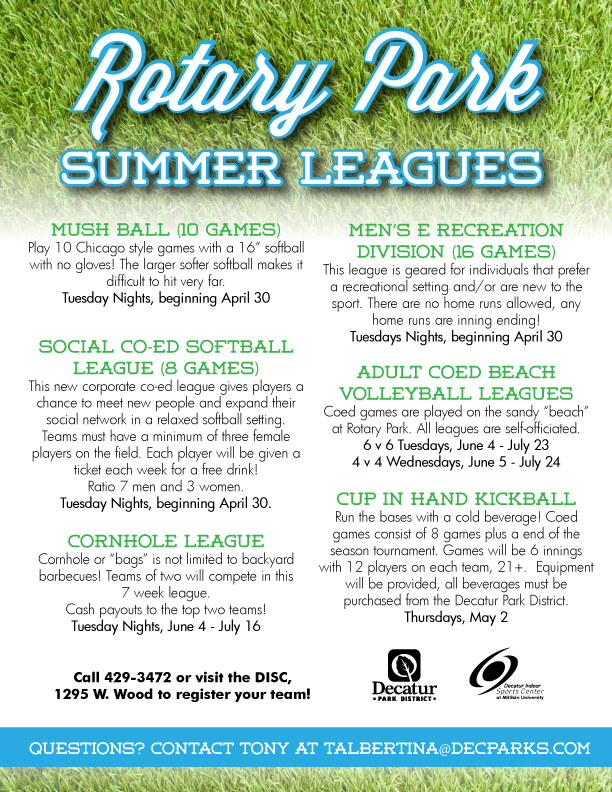 Register online at decatur-parks.org, or call 422-5911. It is prescribed burn season and the Decatur Park District staff will be conducting prescribed burns in the month of March at Red Tail Run Golf Club. Fire is a natural process that shaped the Illinois landscape. Prescribed burning is an efficient and effective tool used to manage prairie and woodland habitat and maintain a healthy diversity of plants and animals. Safety is our highest priority. Our key goal is to keep smoke from blowing toward homes, roadways and other smoke-sensitive areas. Local police and fire officials are notified when and where burns will take place, so they can respond to people who report that they are seeing smoke from an area.